Bethesda Softworks released the official in-game introduction to Fallout 76, their co-operative multiplayer-focused title that will be out next month. Those interested in trying the game out before its release can join the "Break-It Early Test Application" (B.E.T.A.) that will be available first for Xbox One on October 23 followed by PS4 and PC on October 30. You simply have to preorder the game to do so. And we’d like for you to share your own journeys. From the very start of the B.E.T.A., beginning on October 23, you will be free to stream and talk about all your experiences with Fallout 76 with the rest of the world. This is an exciting new journey for Fallout – and for us! During the B.E.T.A., you will likely see a glorious array of issues; many we know about, and many we don’t. We need your help in getting the game ready for launch and beyond. We think you will love playing the game as much as we do – and your continued feedback is critical to craft the long-term experience over the years to come. For additional details on the B.E.T.A., please see our updated B.E.T.A. FAQ. As you wait for B.E.T.A. to begin, we will be showcasing much more of the game in the next few weeks, including tips for multiplayer, wasteland survival, character builds & customization and more! Plus gameplay. Lots and lots of gameplay. For more details, be sure to visit the official website detailing the promotion. 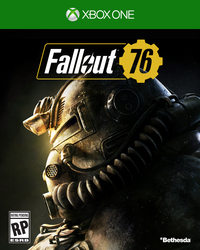 Fallout 76 is scheduled to be released for the PlayStation 4, Xbox One, and PC on November 14.